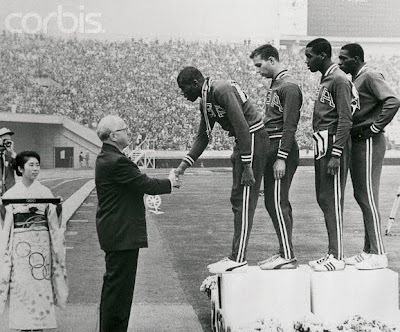 July 15, 1961 Moscow, USSR: At the third USA-USSR Dual Meet, Villanova greats Frank Budd and Paul Drayton made up two of the four runners who set a new World Record in the 4 x 100 relay. Hayes Jones, Frank Budd, Charles Frazier, and Paul Drayton won the men’s race in 39.1 to break Germany’s World Record of 39.5. Budd (pictured below) was considerd the world's best sprinter prior to the appearance of the legendary Bob Hayes. 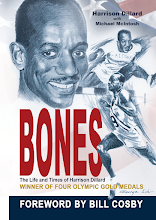 He held world records in the 100 yard dash (9.2) and 220 yards (20.0) Budd won three NCAA championships at 220 yards (1961) and 100 yards (1961, 1962) as well as the AAU 100 yards championship in 1962. 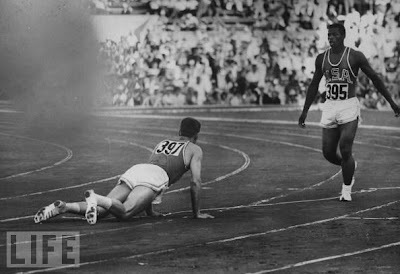 He was 5th at the 1960 Rome Olympic 100 yards. Budd also had a brief NFL career, playing for the Philadelphia Eagles (1962) and Washington Redskins (1963). He finished his two-year career with 10 receptions and one TD. 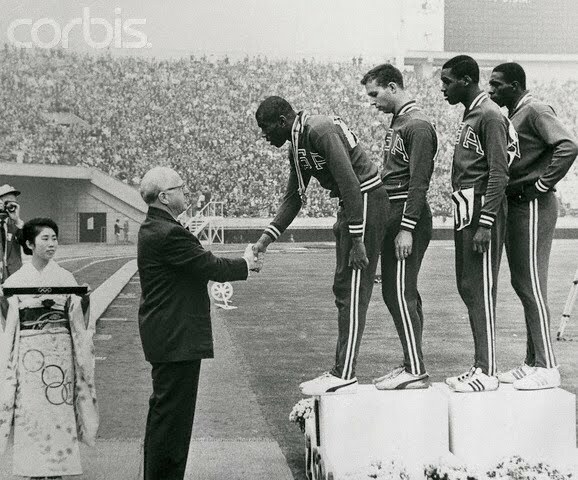 Otis Paul Drayton (above, receiving his olympic medal) was also a world record holder, running 20.5 over 200 meters in 1962. He was the 1961, 1962, and 1963 AAU champion at 220 yards and won an Olympic Gold Medal as part of the USA's 1964 4x100 relay team.